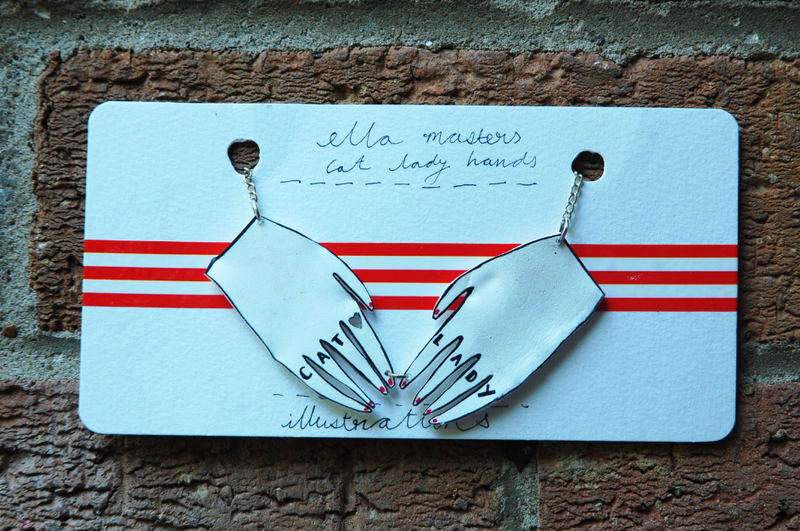 Ella Masters new illustrated jewellery collection. Last night I had an overwhelming urge to just not bother anymore, and just as I was going bed Bee from Vivatramp who reminded me to keep going, and to keep focused on my dream. So I woke up bright and early and decided that I should start work on my new Jewellery collection. It has given me a new spark and a new focus which is rather exciting. 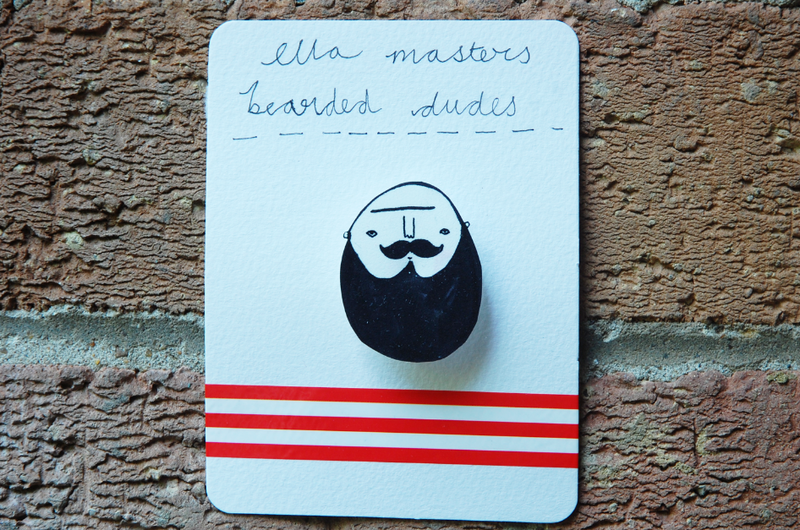 You can see the creations here at Ella Masters Illustration shop, ok so I think maybe my obsession with beards has taken on new levels. Today my coupon code runs out for 15 % off all items, use the code WEEKENDFUN2013 so grab your favourite brooch or necklace whilst you can get discount. Remember every penny going towards my new studio. I am also experimenting with opening up a kickstarter to help me with my new clothing collection what do people think of kickstarter? Next Post road tripping in the sun. I love them – especially the necklace you've created! 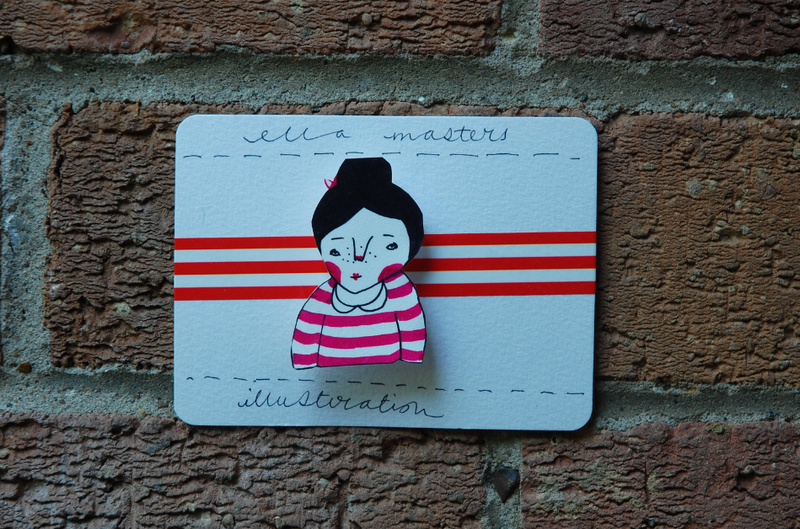 Gorgeous and unique illustrations Ella. Lovely! Too bad you can't wear them in the rain though, do you think it will be ruined if you're walking on the streets and the rain starts falling? 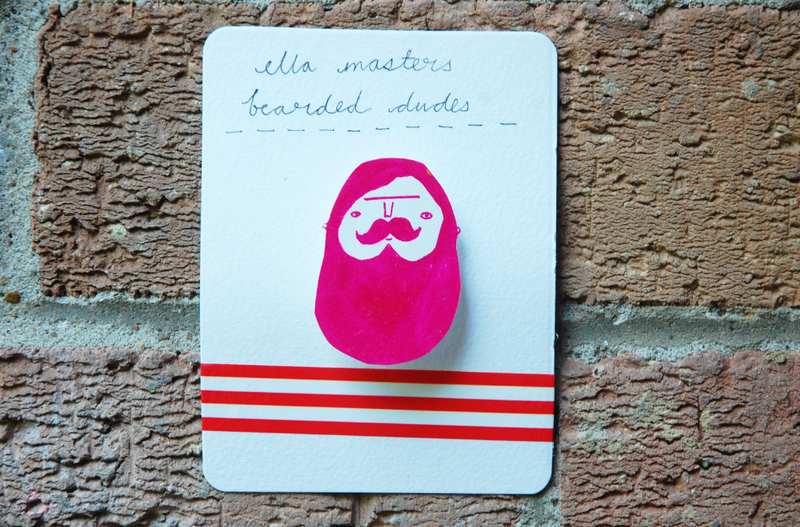 I love the pink bearded man! 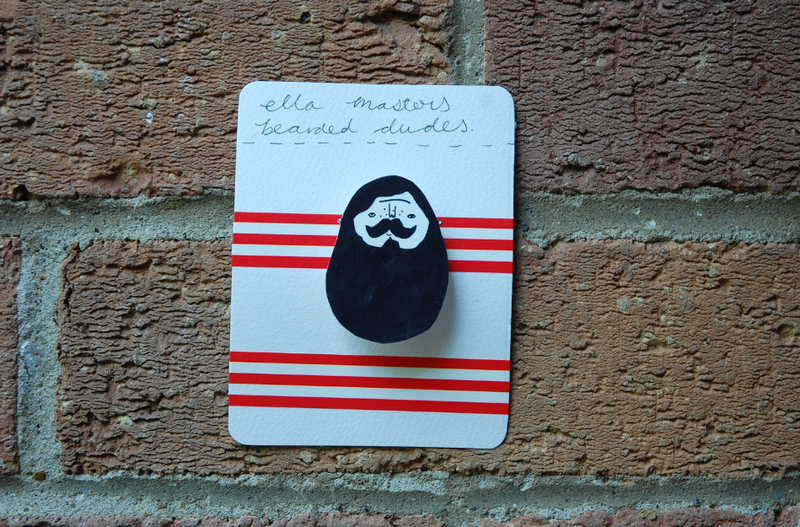 These are beautiful Ella! I hope you continue to enjoy what you do and work towards your dream, you're so talented it would be a shame for you to stop being to creative!